Home \ Blog \ The Popular Minhag of “Stealing” the Afikomen. Not Everyone Does It. Transcribed from a lecture by Rabbi Benyamin S. Hamburger Shlita on Chol Hamoed 5778. Video here. Please excuse that this is written in the flow of a spoken lecture and not as an essay or even a blog post. In the study of minhag we need to be discerning. For example, the minhag of “Mitzva Tantz” is first mentioned among the minhagim of Aschkenz, it was exclusively our minhag. The problem is, that the earliest mention of it is in a negative light. The best way to know if a minhag Aschkenaz is a legitimate and holy minhag is to see if its protagonists are the gedolim of Aschkenaz or otherwise. Tzafun is the name of the mitzva of Afikoman. There are some rishonim that call it “Tamun”, and there is no distinction as both mean “hidden”. Among the Yemenite sefardim mentioned in Abudraham it is called “Shemurah”, or “watched”. This is a beautiful term, since it accentuates the feeling of the night- careful attention to mitzvos. The Maharshal even uses the term “Tamun” as a proper noun for the Afikomen matza. He calls it the “Tamun”. The entire process leading up to the eating of the matza can be described as “Shemira”, a watching. Rabbi Chaim Soloveitchik of Brisk says that the Afikomen should be kept in a secure place because this matza needs to be guarded. He explains that this is the meaning of the term “Tzafun”, hidden. Rashi says that Afikomen, even in our times where it is eaten without the korban, is nevertheless a mitzvah D’oraysa and it is the main fulfillment of the commandment to eat matzos on the night of the 15th of Nissan. Rav Shrira Gaon says that the Afikomen taste that remains in the mouth is meant to reinforce the tale of the exodous. The Rashbam and the Ramban: It is eaten at the end of the meal and is a remembrance of the Matza that accompanied the Pesach korban. Many Rishonim say that it is a Remembrance of the meat of the Korban itself and not the accompanying matza. Many Sefardim have the minhag to say verbally, “This is a Zecher for the Korban Pesach” in the Ladino tongue. The mekubalim add another idea. They explain it as akin to the treasure of a king. Such a treasure is not kept in his quarters but in a safe place, such as a fort. This further enforces the precious nature of this matza. The students of Arizal write that one is to take the matza from its safe place after midnight (!) to eat. This is the meaning of the word “Afikomen” “Afik“ = “Take out”, “Mana” the “portion”. i.e.- Take it out of hiding. They also write that it is kept under the tablecloth, because the Redeemer is hidden away until the time of his arrival! The rishonim all bring this practice of keeping it under the tablecloth. The list includes: Rashi, Ramban, Ravya, Rokeach, SMaG, Chizkuni, Maharam MiRottenberg , Rosh, Ritva, Rabenu Yerucham,et al. This further accentuates the need to keep it safe. Maharil states more “…under the tablecloth that he may see it before him at all times, so he not come to forget its eating at the end of the meal.” What would the Maharil say if we were to steal this from him? It would disrupt the whole seder! If you think just the Maharil did this – have a look at the practice of the leader of our own generarion Maran Harav Shach Zt’L. It is recorded that he kept the afikomen matza between the pillows of his seat “in a way that he could see them”. Rabbi Chaim of Brisk did this too, as recorded. The Rosh had a different system. He was worried that as the leader of the seder, he might be preoccupied with his duties and forget the Matza. He would, therefore, appoint a member of the assembled at the seder to watch it and put it somewhere visible. A little later we find the Terumas Hadeshen and the Maharshal would guard it by putting it between the pillow and the chair beneath his head. There was a very large Rov in Poland Rabbi Yitzchak Chayis, who talks, not about “stealing” the matza, but about the idea of passing it between the hands of the assembled- in a type of volley- to keep the seder exciting. Yet, he never mentions its removal from sight. The first mention of “stealing” by the Chavos Yair. “There is a minhag of children to steal the Afikomen…nevertheless, there is a reason to protest and abolish this minhag!” This is strong language and it clearly denotes that he did not recognize this as “holy tradition”. Now the first non-critical mention of this is in the Sefer Chok Yaakov. He does not condemn it but does not encourage it either. He does defend it by referring to the Rambam’s idea of keeping the children engaged. The first one who records this in a positive light is the Noheg Katzon Yosef. He frames it as a holy minhag that should never be tampered with. Now, we must divulge some background information. This book is known in our community as a faithful record of the minhagim in Frankfurt. The author was not a posek, but a devoted member of the old community. We use his book and we appreciate it. In its time it was briefly banned and later accepted. He wanted to record things as he understood them, but his authority does not rise to the level of the Magen Avraham on the Shulchan Orech, nor is it always accurate. This should be considered as we weigh his opinion. Now we come to the greatest protagonist of this minhag, the “Michtav Sofer”, Rabbi Shimon Sofer Zt’l. Now I am greatly conflicted as I, myself am a descendant of the Chasam Sofer, and many regard the Michtav Sofer as if the Chasam Sofer himself spoke from within him! He writes, “My grandchild tells me of this minhag, and I cannot find a source for it. If for the Talmudic passage “We grab the matzas from before the children”, we would be justified in grabbing it without “stealing” it! I have not heard any reason.” Here we see that he had never heard of this and never given thought to it until he heard it from his grandchild. The Seder at the home of the Chasam Sofer was an event of great holiness and seriousness. This was apparently not practiced there. Now this is a beautiful piece of homiletics, that is CLEARLY meant to justify and explain a practice that was in place. It cannot be counted as a “source” for the practice, obviously. As for the Chasam Sofer himself we have it recorded and written by him that the watching of the matzos is of utmost importance. The Ksav Sofer was a carbon copy of his father. The Michtav Sofer was more open to newer ideas. For instance, the Chasam Sofer used vinegar for karpas as in old. The Michtav Sofer allowed for salt-water. He therefore was open to other newer halachic practices and ideas. There is also the possibility that his wife introduced the practice. As there is some mention that the mothers would encourage the children in this practice. The Erleauer rov is recorded as having kept careful vigil on his matzos, and he is likewise a descendant of the Chasam Sofer. It should be mentioned now that this is a minhag found mainly among Aschkenazim. Even among Aschkenzaim it is met with rejection. The Brisker household did not allow this practice for the simple reason that Halacha calls for the placement of the matza in the pillow of the seat. The great Posek of our time, Rabbi Shlomo Zalman Orbach Zt’l rejected this minhag because it involves the act of stealing. His rebbe, Rav Isser Zalman Meltzer was full of trepidation that nothing happen to his afikomen, as recorded. Matza Safety.It could be placed in a dirty or tamei place, such as under a bed where someone is sleeping or a bathroom or a hamper. It happened that a child put it in the washing machine and questions of muktza wer broached. There are those that do not eat any food that fell on the floor on Pesach…what of the matza of mitzva being placed in the hands of a minor! It has happened that the matza couldn’t be found ultimately. Chinuch! The idea of a child holding the parents, and the leader of the seder hostage is an obvious breach of Derekh Erets! Rav Chaim Kanievsky Shlita was asked what to do when a child steals the Afikomen and the father is not interested in the game. He advised to disallow the game. Should arguments over the matza replace the sweet sounds of the seder? We will find that the game will DISTRACT from the seder instead of adding to it. Prize Negotiations. There is a situation that arises at the table where children vie for the chance to gain the prize and fight. The monetary stress of this additional prize can be further crippling to the parents who have just made great expenditures on the chag. The negotiations can cause the chatzos hour to be missed as well! Stealing! The Chazon Ish and the Steipler both said that this idea of stealing in jest can lead one to become used to stealing. Rav Elyashiv likewise forbade the practice in his home for this reason. Bad Optics! One of the greats of Alsace (Sefer Meorei Ohr) says that this is a Zecher to the pasuk of “Vayinatzlu es mitzrayim”. Do we not have enough detractors and enemies who would love to pin a reason like this upon us?! (i.e.- That we are practicing chicanery!) It is told that one of the reasons that Rabbi Moshe Feinstien ran to America was because the Russian government forbade the children from participating in the seder since it had a lesson in stealing! We see that enemies of the Jews have already embraced anti-Semitic tropes and applied it to this practice! Even the Chasidim who embrace many mihagim did not practice this in the house of the Rebbe. When we study the practices of a long list of Chasidic Rebbes we will find that they did not allow for the matza to be stolen. We can assume that their chasiddim (followers) practice likewise. 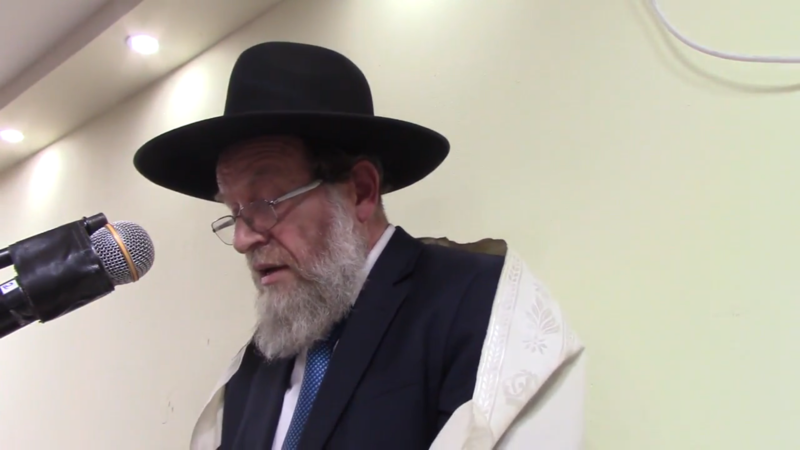 We, too, who follow our Rabonim and Gedolim should take a cue from the following leaders in our community such as Rav Yaakov Edelstien Zt’l and the others mentioned earlier. And even if you had a grandfather who held this minhag, perhaps follow the other grandfather who didn’t! Certainly, your great-great grandfathers didn’t!